Most people with dementia live in the community, initially with the help of relatives and friends, and latterly with support from health and social work. As a result, people with dementia live in all types of housing. 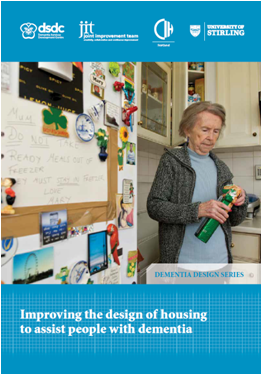 The design of their house or apartment will mean that many people with dementia will struggle. This popular booklet offers solutions to a lot of the common design challenges and is mainly aimed at relatives and friends.